We have been doing app reviews for a few years now. 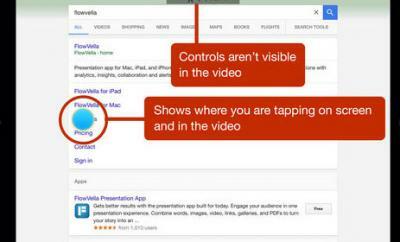 We have always wanted to have an easy way to record app demos to upload to YouTube and other video sites. While you can do that with a capture card, having an app capable of doing it would be a plus. There are a couple of decent screen recorder apps available for this platform but they require you to jailbreak your phone. With Display Recorder for iOS, you won’t have to. 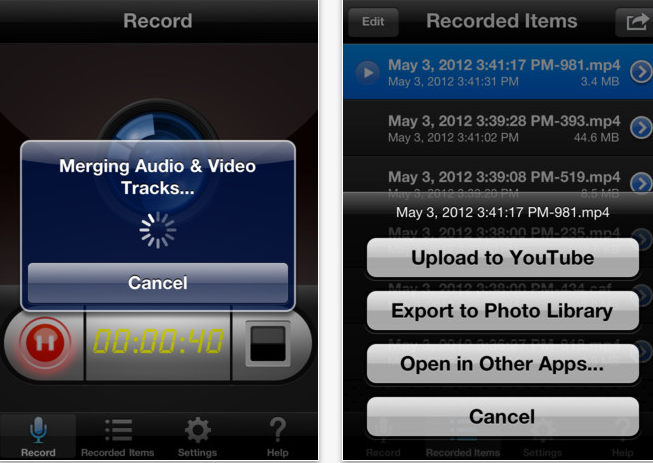 Display Recorder records your iPhone/iPod Touch, and iPad screen in real time. It records videos in H264 mp4 format. Audio is recorded as well. What’s neat is you can record your videos and then upload them to YouTube right away. Video quality settings can be modified to fit your needs. Display Recorder is easy to use too. Just switch to the app you want to record to get started. We found Display Recorder to be quite stable. It does have a couple of bugs. We did have some issues with app sounds. The video quality could be a tad bit better. At the same time, it is wonderful that you won’t need to jailbreak to use this app. How long will Display Recorder stick around? That remains to be seen.